Our friendly and knowledgeable team has proudly served the Clintonville, Worthington, and Ohio State campus areas since opening our doors in August of 2014. Community; that is the first word that comes to mind when Columbus residents think of Clintonville. That is the precise reason why the doctors chose to open their modern office on High Street in what we consider the heart of Columbus in 2014. Eyes on High is not your typical optometry practice and Karen, Melissa, and David are not your typical eye doctors. Yes, they "nerd-out" over eyeballs, ocular diseases, and how to triage emergencies but they also want to get to know YOU, YOUR eyes, and educate you on how to keep them healthy. When you are in the neighborhood, pop-in to say "Hello!," browse and try-on new frames, or give our opticians a break by letting them meet and pet the furry members of your family. The team here at Eyes on High are a go-get-'em group that love to interact with patients so you will not find them hiding in the exam rooms. 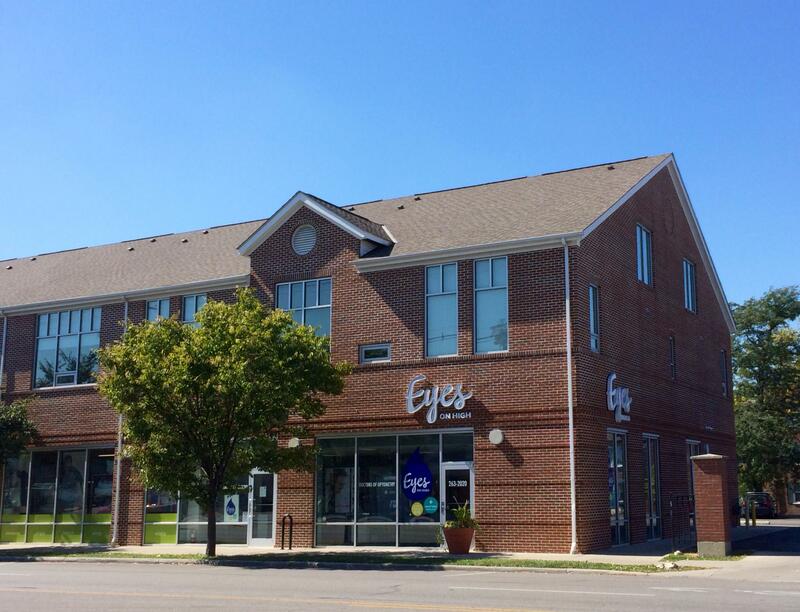 Our team knows vision, knows Columbus, and cannot wait to know you!